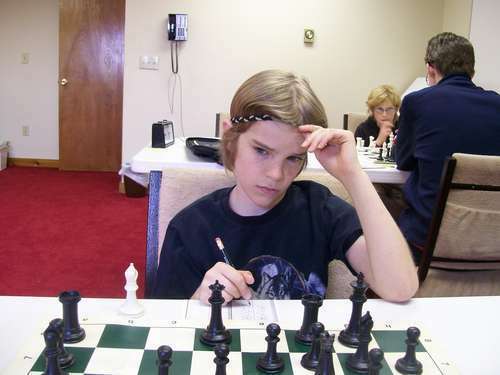 05.03.08 The WCCF April Swiss played on April 19, 2008 in Pembroke, Maine turned out to be a round robin with four players participating: Alba (Hoty) Briggs, Nathaniel Simpson, Ezra Briggs and Theodore Jans. Hoty Briggs padded his rating with seven points by defeating all comers to score 3.0 points and take clear first, Simpson finished second with 2.0 points , Ezra Briggs took third with 1.0 point and Jans rounded out the quad finishing fourth. 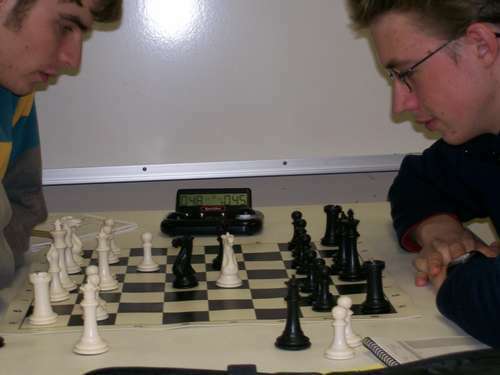 Head to head: Hoty Briggs (left) battles Nathaniel Simpson in a game Briggs eventually won. 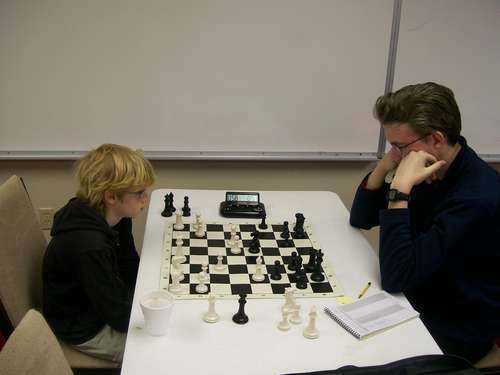 Theodore Jans (left) doing his best to hold off the challenge from Nathaniel Simpson. 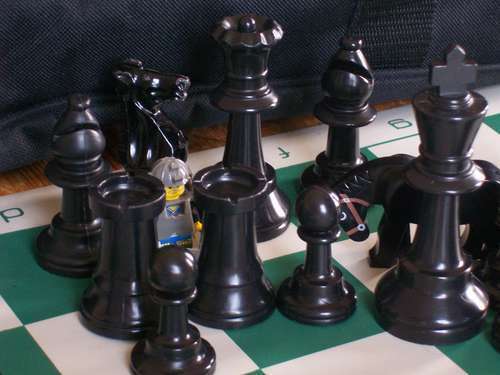 Ezra Briggs assesses his position. 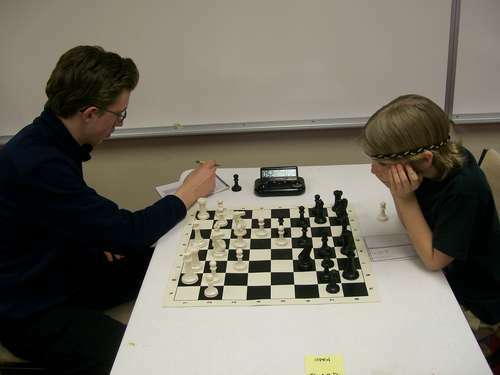 Nathaniel Simpson (left) checks his scoresheet during his game with Ezra Briggs.